What is HydroWEB™, you ask? Well, it’s the ultra-thin waterproof membrane technology that’s found in the Spyder Leader Insulated Ski Jacket. It blocks snow and rain from permeating the fabric, which gives this jacket a 10K waterproofing rating. And even if he does (somehow!) manage to get soaked, the 140g of Thinsulate™ insulation will keep him warm since it insulates even when it’s wet. The Spyder Leader Insulated Ski Jacket has a regular fit and adjustable hems and cuffs to be comfortable day after day, even for picky kids. DWR finish and HydroWEB™ technology give this jacket a mid-level waterproofing rating. "Thank you for your inquiry. 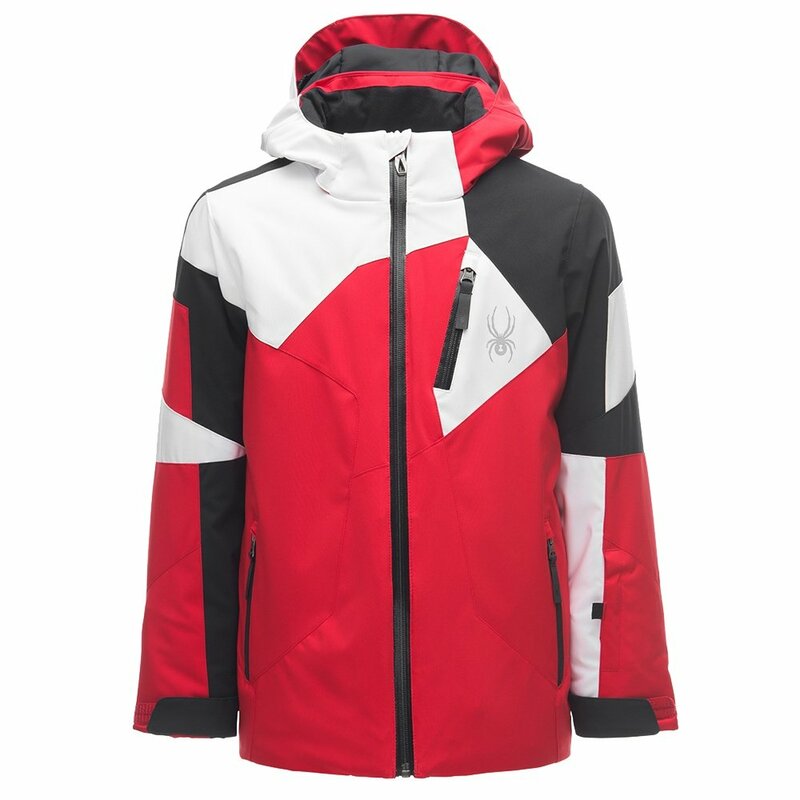 The Spyder Leader Insulated Ski Jacket has a draw-cord hem and adjustable cuff tabs with gussets and interior stretch cuffs with thumb holes. We hope this information helps! "